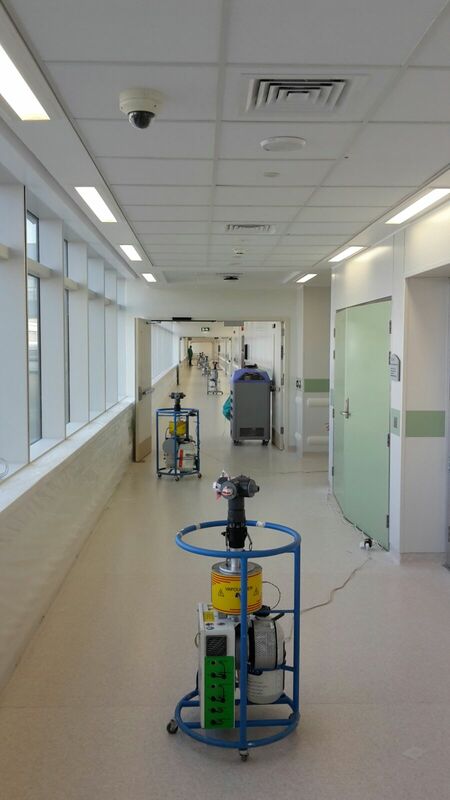 The disinfection of 450 rooms totalling 56,000m3 was implemented in a short 15-day time frame ahead of the Qatar-based facility’s grand opening. The larger areas being targeted, such as intensive care units and the hospital’s operating theatre complex, were able to be treated as single, discrete decontamination zones. This minimised the risk of cross-contamination between rooms and corridors, and allowed the project to be completed in time. The largest area of the hospital to be treated as a single zone was the operating theatre complex with a total volume of c.7000m3. With Bioquell’s unique technology this entire suite was decontaminated within one day. In this area, 32 of Bioquell’s Hydrogen Peroxide Vapour generators were utilised simultaneously to provide effective decontamination. 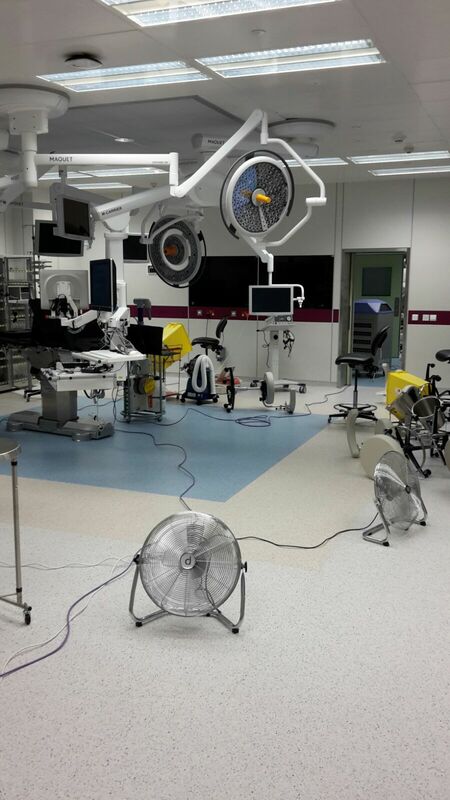 Distribution fans were also used to disperse the vapour within specified zones, whilst Bioquell’s aeration units provided the capacity to quickly break down the vapour to complete the decontamination cycle rapidly. Bioquell’s 6-log Geobacillus stearothermophilus spore biological indicators were placed in challenging locations within each area, as well as proprietary Bioquell chemical indicators designed to give a real-time verification of a successful bio-decontamination process. Biological indicators provide insight to the success of a cycle after a 24-hour incubation period, with final results available after 7 days. As demonstrated by the full inactivation of biological indicators and successful air sampling results, the project was completed safely and within the required time frame. Russell Gates, Office of the Vice Chairperson at Sidra Medicine comments: “The Bioquell team worked well with our own people and were very flexible in their approach. The planning prior to their arrival in Doha made the implementation of the project much easier as we were able to ensure the right people were in place to support the process.